Alaska Event Services has helped create hundreds of weddings and receptions all around Alaska. We offer basic linen for round, rectangle, and square tables, as well as specialty linen in table overlays and napkins. 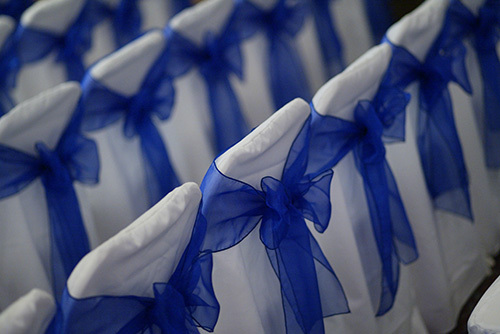 We have the largest inventory of chair covers in the entire State and chair sashes to compliment nearly every color scheme. 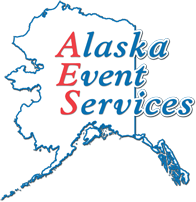 Alaska Event Services incorporates a more flexible rental schedule than most rental companies. If you are planning a wedding or reception outside of the local area our extended rental period is very convenient. We can do everything from lighting and electrical to tables and chairs. Just let us know what you require and we will work with you to make what’s on paper come to life with excellence. Please call today for a personalized quote, or you may even find it helpful to stop by our warehouse where you can look at fabrics and visit with one of our friendly wedding specialists. 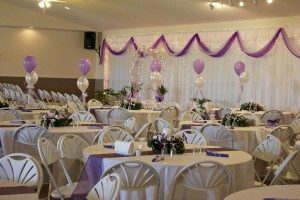 Our dedicated staff is familiar with many local venues and can answer your questions regarding linen and chair cover needs. What is the estimated number of guests expected to attend your event that you will need to reserve items for?